The luxury SUV from Porsche is something anyone will love to own and maintain it in top condition, for life. This Cayenne sadly did not get the same treatment. It is a 2008 model Cayenne with the door mounted spare wheel. The car is now just counting its last days with no one to take care of it. This was India’s only Balboni limited edition car and there are only a few across the world. 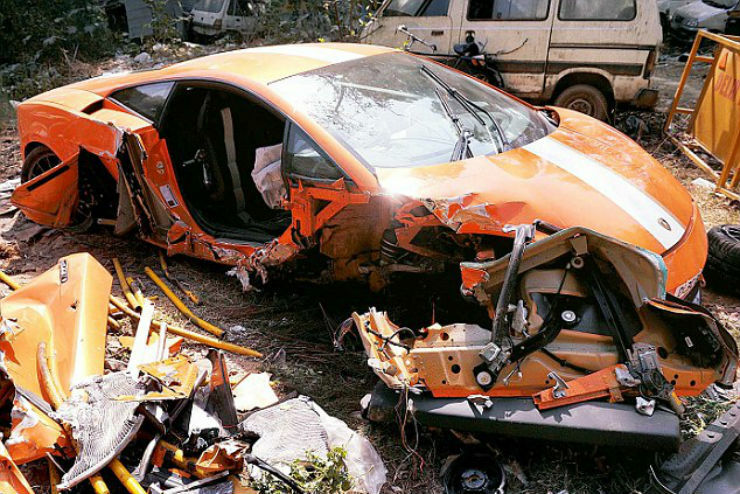 The Lamborghini Gallardo Balboni edition met with an accident in Delhi. The car has been lying like this since then and no one has made an effort to repair or rescue the car. This is automotive art, left to die. This is the Godzilla, er the Nissan GT-R. And the supercar killer is getting killed at the Delhi customs. 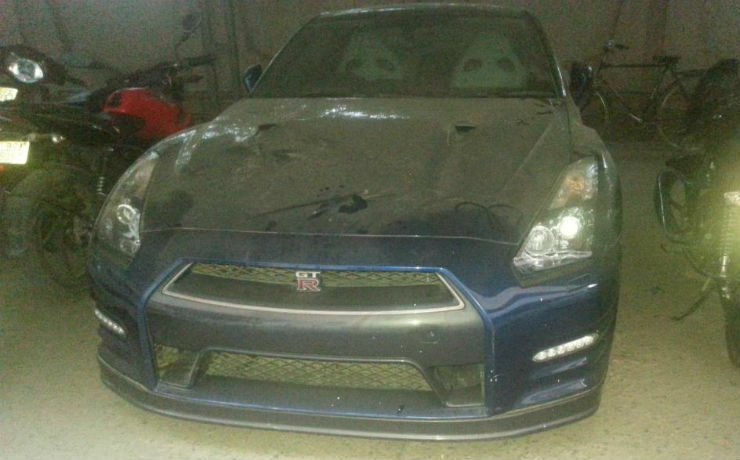 The R35 was imported but could not clear the customs and is lying in a very sad state at Delhi custom office. The car carries a twin turbo 478 BHP engine. What a criminal waste of pedigreed horsepower. The temporary number plate on this Land Cruiser tells us that it is a brand new vehicle. 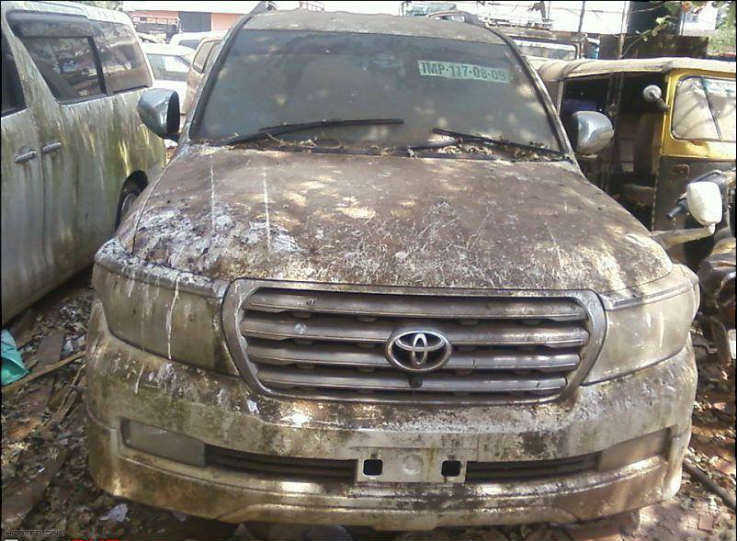 The car is at a stockyard in Mallapuram and has been completely neglected by the owner. The Land Cruiser is Toyota’s most premium offering in India and costs more Rs. 1 crore. 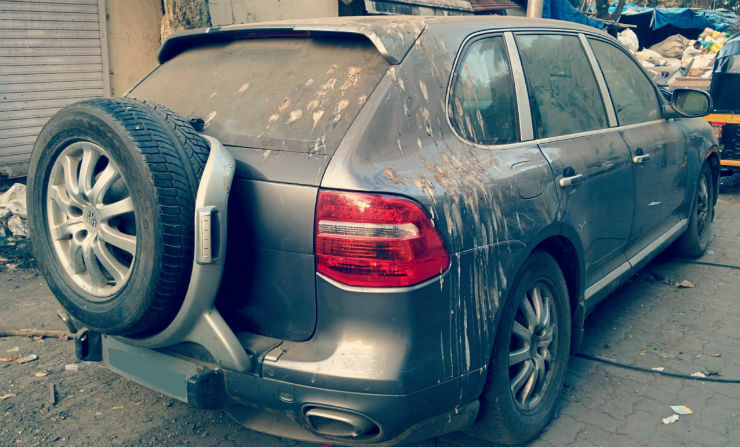 This Bentley Flying Spur has been left to die a brutal death. 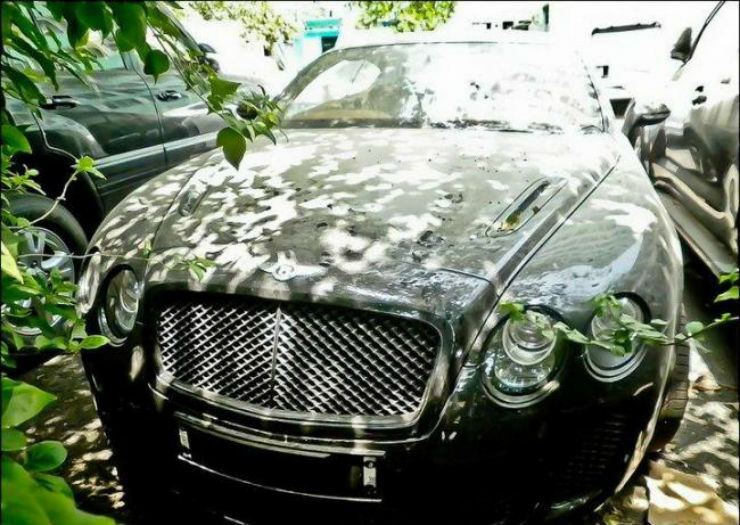 The elegant Bentley that is the dream car of a few million people in this world has not received any attention from its owner. The Flying Spur is one the most luxurious Bentleys ever made.